What Do We Do With The Weird Verses? 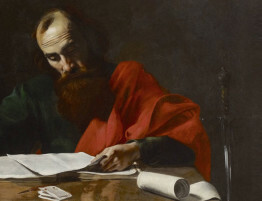 We have been working our way through Paul’s first letter to the Corinthians, and we’ve just finished up one section. We are now turning the corner into something new, and boy oh boy what a section it is. These verses in chapter 11 are some of the most challenging verses in the whole bible. I should tell you right away that I’ve requested our elder, Mr. McGuire, to have a Plexiglas wall installed around the lectern. Until it’s completed, I ask that you hold back your rotten lettuce and tomatoes. In all seriousness though, our passage this morning is a difficult one. It’s difficult because of the subject matter. Make no mistake, Paul is giving his pastoral opinion on how women should dress. That’s a subject that few preachers would dare to talk about today. But beyond the subject matter, this passage is difficult because of the way Paul makes his argument. The whole thing takes place within the context of miraculous charismatic gifts, already a controversial subject. But within that setting, Paul uses categories like “image,” “glory,” and “headship,” which are not all that familiar to us today. The way that his argument “works,” as an argument, has mostly been lost to us today. In fact, this might be the most difficult passage in the whole Bible to understand. Having told you how difficult this piece of Scripture is, what are we to do with it? How should we use the “weird verses” in modern life? That will be the subject of our sermon this morning. I’m going to devote several weeks to Paul’s argument in this passage. We’ll eventually talk about head-coverings and what Paul thinks about them. But not right away. Before we do that, I want to show you what Paul thinks about men and women in general, as well as how they should relate to one another in society. And before we get to that, I want to show you the kind of authority Paul uses to make his judgment. This morning I want to look at the most basic point of all, the authority of the Scriptures. You see, it is in these weird passages where we really learn what we think about the Bible. Do we really believe it? Do we really believe we should follow what it says? Do we really want to know? This morning I would like for us to learn how to learn from the Bible. Embrace the weird. Submit yourself to the Scriptures—the whole Scriptures— and you will learn God’s truth and will for your life in all things. Why is this passage so hard? Now, there are several reasons that this passage is so difficult. The first reason is simply its topic. Any statement about “men’s roles” and “women’s roles” is controversial. When we see Paul apparently telling women to wear some sort of headcovering precisely because they are women, we get more than a little bit nervous. In our day, egalitarianism has pretty much won out. Egalitarianism means “equal-ism,” and it is the theory that everyone is equal in every meaningful way. Egalitarianism maintains that it is wrong to tell men and women that they can or cannot do a certain thing because they are male or female. Now as Christians, we should be quick to affirm that men and women are both equally human, made in the image of God, and that they are of equal worth. Neither is “better” than the other. Both also deserve equal protection under the law. But if “equal” means that they should both be able to do all of the same things, no matter what, or that they should be able to wear all of the same kinds of clothes or conduct themselves in exactly the same ways, then the Bible opposes this view. After all, the Bible everywhere proclaims that the husband is the “head” of the wife. It says that the wife should “submit” to the husband. Women are even called “the weaker vessel” in 1 Peter 3:7. This doesn’t mean that women are mentally weaker, but it does mean that they are physically weaker, which is a general truth. In our text today we even see those striking lines, “For man is not from woman, but woman from man. Nor was man created for the woman, but woman for the man” (1 Cor. 11:8-9). We will talk more about that statement at a later time, but for now we need to acknowledge that this sort of rhetoric challenges our modern sentiments. Indeed, many people find this offensive. It’s a little scary to talk about in public. As believers, we are going to have to be honest about the difficulty here. We do need to be very careful that we are not misinterpreting or misunderstanding the text. But once we have understood it correctly, we will have to make sure that our own cultural biases and reactions don’t prevent us from being faithful. There’s a second reason that this passage is so difficult, and that reason goes beyond simply the content. This passage is hard because of the way Paul makes his argument. He doesn’t just say, “Thou shalt…” and leave it at that. He doesn’t appeal to the Old Testament law. He doesn’t even appeal to morality as such. Instead, he uses concepts like headship—what exactly that is will have to wait— (vs. 3), glory (vs. 7), and shame (vs. 4-6, 14). He also appeals to the authority of tradition (vs. 2), propriety (vs. 13), and custom (vs. 16). These ideas and concepts were all understood in the ancient world, and they were powerful ways to argue. In short, this type of argument “worked.” But in our day, we don’t quite understand what Paul is saying, and so his argument doesn’t inspire at all. It mostly confuses us. And I didn’t even mention that there’s one verse that nobody knows what it means—“because of the angels” in vs. 10. Talk about weird. So, we will have to take the time to notice all of the stuff that we don’t understand. We can learn a great deal by seeing how much we don’t know. If something was important to Paul, and seems to be important to understand Paul, but we don’t understand it, then we have learned that there’s something we need to learn. We may not be able to go back in time and fully understand everything, but if we are careful to notice what doesn’t make sense to us, then we can try to find out what sense it made in the first century. We can learn entirely new (or old!) categories and concepts. What should we do with a passage like this? Now so far I’ve said a lot, but I haven’t told you whether women need to wear headcoverings to church or not. For most of us, that’s our first response to this passage. We want to know whether we still have to do that, and if not, we want to know why not. But I think rushing to that actually causes us to miss the more important parts of Paul’s argument. I’m going to purposely go very slowly through these 15 verses and try to find out just what Paul is saying and why. I don’t want to just jump to the end. Whenever we read the Bible, we have to be careful that we are both reading it correctly and applying it correctly. You can’t just open the Bible at random, read a verse, and then tell everyone that it’s God’s will for them. In fact, there’s a joke going around online that proves this very point. It has a picture of a desk calendar with what looks like an inspirational Bible verse written on it. The verse is from Luke 4:7, “If you will worship before me, all will be yours.” Sounds nice, right? Except there’s a problem. When you look it up in Luke’s gospel, and when you read the verses right before it, you find out that the person saying that line is Satan! Knowing the context changes everything. But even beyond that fairly ridiculous example, there are other verses which give commands from one of God’s inspired teachers, which we do not believe we have to follow exactly in the same way that it would have been followed in the first century. For instance, the Apostle Paul tells Christians on four different occasions that they should greet one another with a kiss (Rom. 16:16, 1 Cor. 16:20, 2 Cor. 13:12, 1 Thess. 5:26). There are some cultures today where people do kiss each other simply as a sign of friendly affection. Italians will often greet you with a kiss on both cheeks. They don’t even think it’s strange for men to kiss other men on the cheeks like that. But in other cultures, typically those a little farther north, they find that practice strange and prefer a nice, safe handshake, preferably at about an arm’s length of distance. I don’t know of anyone who believes that the handshake is a sinful corruption of the kiss, and almost no one thinks that all Christians simply must kiss each other as a way to show greetings and affection. Even though Paul says, “greet one another with a holy kiss,” we feel safe shaking hands and giving a sidehug. But why do we think sort of translation is allowed? What are our reasons? That’s actually a very important question. We don’t believe that we have to kiss one another, but we also don’t believe that those verses are meaningless or unimportant. We don’t just say, “Oh well, that’s weird. Let’s don’t do it.” No, what we try to do is find out Paul’s intent, what he was trying to get across. Christians need to show one another appropriate affection, and they need to make this true externally as well as internally. We don’t think that Paul cares just about the kiss. He cares about what the kiss does and how it works in real life. So what we need to do is to find the principle or main point that a Bible verse is after and then try to obey that point. It might look a little different in different times and different places, but as long as we really are trying to accomplish that point, we are being faithful and obedient. This should guide us on other passages as well. Now, yes, this can be tricky. We all know those folks who claim to have found the principle of a verse but have really just found an escape hatch. They have found a way to not have to obey a verse. We don’t want to do that. Whatever the Bible means, we should obey. But we can and should distinguish principles from the specific occasions and surroundings of their time. Applying the same principle today might look a little different. Sometimes if we did the precise literal command, we might even contradict the original goal, simply because of how the situation has changed. We know that it is possible to keep the letter of the law but break the spirit of the law. We have to be careful when deciding how this works, and we must do it in the pursuit of faithful obedience. So again, our guiding rule is that we need to figure out what the point of each text is, and we need to find the best way to follow that point today. This is how we will handle our passage in 1st Corinthians. We will try out best to identify Paul’s underlying principles, and then we will see how to most appropriately apply those principles today. Now having said all of that, I want to go back and ask a very basic question—why are we even talking about this? I mean, let’s be honest, a passage about women covering their heads is guaranteed to be unpopular. This is a sure-fire way to get people upset. Even if they don’t get mad at you, talking about this sort of thing is going to make people think you’re pretty weird. Why risk it? Why talk about this today? You might not ask that question out loud. It might sound impious. But be honest, a lot of people feel this way. And it’s probably the most important question to know how to answer. What do we do with the weird verses? Here’s the answer. We are preaching this text this morning because it is the Word of God. As 2 Timothy 3:16-17 says, “All Scripture is given by inspiration of God, and is profitable for doctrine, for reproof, for correction, for instruction in righteousness, that the man of God may be complete, thoroughly equipped for every good work.” “All Scripture” includes “some Scripture,” and so we can say confidently that 1 Cor. 11 is given by the inspiration of God and is profitable for doctrine, reproof, correction, and instruction so that you may be complete and thoroughly equipped for every good work. We must preach the whole counsel of God (Acts 20:27), and we must not be content to only read and teach our favorite verses. We can’t just talk about the verses we are comfortable with and avoid the ones that challenge us. It is precisely the “weird verses” which put our doctrine of Scripture to the test. If we come to a “problem passage,” then we need to understand that the problem is on our end. There is nothing “wrong with” the Bible. Because we are sinners, and because we are removed from the original context of the Bible, we must strive to overcome our biases and prejudices in order to truly know God’s will which He has revealed in His Word. Therefore, let us today resolve to have no “problem passages.” When we get to something strange or hard, then let’s double-down and really find out what it means. It’s certainly possible that we will find out that a text doesn’t exactly mean what we initially think it means. Sometimes words and translations reveal new insight. Sometimes the context is the key. But, once it’s all said and done and we have reasonably demonstrated what the text means, there’s only one thing to do with it. We must obey it. We must submit to it. Embrace the weird verses. They are God’s word for you. And more than this, this passage comes next in our study of the book of 1st Corinthians, and so if we wish to understand that book, then we will need to try to understand this passage. Paul wrote it for a good reason, and it is connected to what has been going on previously and with what is about to come up in his letter. So we shouldn’t skip over it. There are some very important principles in this passage. It teaches us about the relationship between husbands and wives, the connection between outward dress and social values, and the role of propriety as a concept of judgment. It also teaches us something about good order in church and mutual submission to one another in Christ. So, what do we do with the weird verses? We study them to show ourselves approved (2 Tim. 2:15). We read them carefully, but honestly. We go slowly, but we go with joy. “As the eyes of servants look to the hand of their masters, as the eyes of a maid to the hand of her mistress, so our eyes look to the Lord our God” (Ps. 123:2). We are going to take our time with this passage. In the coming weeks we will identify the various “big ideas” that Paul is working with and try to explain them in enough detail. We will talk about the concept of propriety. What is it? What does it mean? How do you know it? Then we will move on to the relationship between the sexes. We will discuss what man is and what man should be, and then we will discuss what woman is and what woman should be. Then, after that, we will be able to talk about those headcoverings in the right way. Don’t worry. I will answer the question as to whether women should wear headcoverings in church today, but you’ll have to bear with me for a little while before we get there. I want to make sure we understand the logic and the principle behind Paul’s instruction. But for this morning, let us resolve ourselves to love the weird passages. They are a great opportunity to find out what we really believe, about God and about ourselves. Don’t miss that opportunity. Use them as an opportunity to submit your mind to the word of God and to conform your life to His will. And let us do this, as we do all things, in the imitation of Christ and to the glory of God. Enter your email address to subscribe to updates and receive notifications of new blog posts by email. What is the Resurrection Body Like?